Are you ready to embrace the new changes that will come with the publication of PHP 7.3? In this blog post, I will guide you through the process of updating your code so that you will avoid mistakes and keep working as smoothly as possible. as a Web Developer, I'm excited and worried at the same time. As you already know if you read the other post I have published, with the new version, new features have been added that will facilitate the work and improve the quality of your code but at the same time when you are up to date you have to keep an eye on features that are not compatible anymore and that will cause problems to the code already existing. Sound like a plan? Let’s get into it! This blog post is the third part of "PHP 7.3 and its Christmas gifts"
Let’s start by breaking the name of this function down! I must say that the purpose of this function is quite straightforward. Wbmp format also known as Wireless Bitmap is monochromatic image optimized for mobile devices. This function accepts 3 parameters (the resource, a string with the path to the saved file and foreground colour in integer format) and returns a boolean value depending on the outputs of the saving of the wbmp version of the image provided. The reason why this function has been deprecated and it will be definitely deleted in the future version of PHP is that there is already a function that has exactly the same functionality. From a quick research on GitHub imagewbmp and image2wbmp. You will see that imagewbmp() has much more usage rate, so what the creators did was just eliminate the less used. From the next version of PHP each call to image2wbmp() will throw a deprecation warning whereas later on in the following version, when it will be definitely deleted, it is going to throw a fatal error. The code will do the same and there will be no warning or errors. These two are flags that belong to the filter_var() function. filter_var() filters variables with the flags specified by the web developers. the second parameter is called flag and contains the ID of the filter that needs to be applied. Here is the list of all the type of filters available in PHP. The third parameter its mandatory and need to be in form of an array or a bitwise disjunction of flags. If you are unfamiliar with the square brackets, what they mean is that the parameters insides are not mandatory and you can avoid inserting them being sure that you will not get any error. In case of the filter parameter, the reason is that by default PHP will user FILTER_DEFAULT. And here is what changed on PHP 7.3. Since PHP 5.2.1 these two flags are included in FILTER_VALIDATE_URL even though you do not specify them. these two constants are useless and as written in the RFC they have created the wrong impression that either the scheme and the host can be disabled. If you have code the use these two flags somewhere remove them and you are good to go. At the moment, version 7.2 of PHP supports either case-sensitive and case-insensitive constants. The letters are not used frequently but when used they cause inconsistencies. The last parameter of the function is a boolean and if set to TRUE the constant is going to be defined as a case-insensitive. Which means SANTA and Santa will represent different values. Constants must be constant, which means they cannot change after they have been declared. This rule is not true in case of case-insensitive constants. The previous code actually changes the value of the defined constant, which is not a behaviour that we want. It won't be possible to access a case-insensitive constant with a format that is different from the one used in the define function anymore. 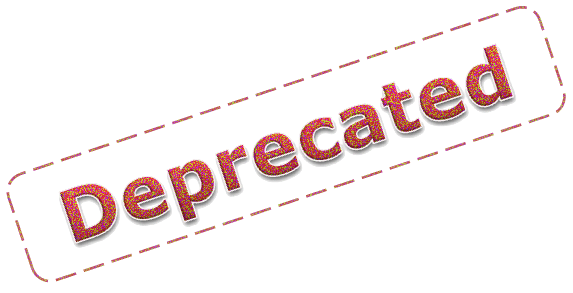 In case you try to access the constant just defined using another casing it will result in “Deprecated: Case-insensitive constants are deprecated. to fix all the possible issue with the code you need to do a few resources. You must be looking for all the constants declared case-insensitive. The good news is that you have to declare the constants that way outright just check for define function with the third parameter set as true. Perl Compatible Regular Expressions, also called PCRE is a library that PHP uses for dealing with Regular Expressions. it cannot be disabled anymore. At the same time the new version, PCRE2 was released in 2005. This is mainly a core functionality of PHP, thus for the most, it won’t affect the user of the language but you need to be aware of some modification that may affect how you work with PHP currently. Modifier S is now on by default. PCRE does some extra optimization. Option X is disabled by default. It makes PCRE do more syntax validation than before. Unicode 10 is used, while it was Unicode 7. This means more emojis, more characters, and more sets. Unicode regex may be impacted. Some invalid patterns may be impacted. PSRE2 is more strict in the pattern validations, so after the upgrade, some of your existing patterns could not compile anymore. As you can see from the example above there is a little but substantial difference between the two lines. this probably is one of the most common causes of incompatibility you will encounter. It is advised to check all the regex you are using in your applications and test them with PHP 7.3.
in fact, some calls to preg_match() could stop working. Before upgrading your PHP to the 7.3 version I advise to check it and, in case, update or rewrite the pattern you need. run your unit test to find errors during compilation. compact() is an amazing array function that allows the creation of array by using the name of one or more variables as parameters. In the previous example, the variable $result is an array and contains the name of the variable selected in the form of keys and the values of the variable selected in the form of value. The use of this function has been increased quite a lot. A characteristic that this method did provide until version PHP 5.3 is that if we insert a string that refers to a variable that does not exist, the script will simply ignore the parameter. In the long run, and especially with distracted web developer this used to cause missing variables in the views (in case of MVC) or missing data in general. With an outstanding 32 vs 5, finally, after installing the new version of the programming language, compact() will start to report these missing variable with the following notice. Please be careful because when updating your current projects you may encounter a large number of the just mentioned notices. In case fixing all the instances result overwhelming a good idea might go back to the old situation by using the @ operator and fixing the case one by one. 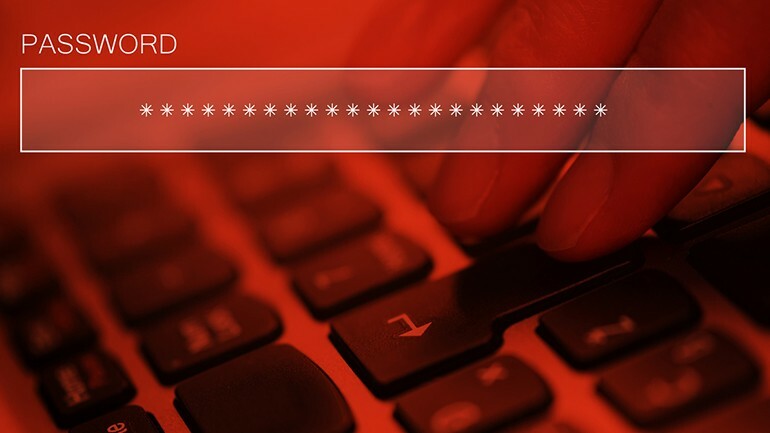 It is a good thing that developers always work on enhancements over security and password hashing. Strive to achieve a better level of protection is of fundamental importance especially when talking about our data. PHP 7.2 implemented a new hashing algorithm called Argon2 that is meant to be an alternative to Bcrypt. Argon2d that is the fastest among them, it uses data-depending memory access maximizing resistance to GPU attack. In PHP7.3 you will have the possibility to add the constant PASSWORD_ARGON2ID as a flag of the password_hash() function. There are several details about this new method like parallelism factor, memory cost and time cost calculations but I will save you them and simply showing you the syntax you can use in case you want to opt for this type of hashing. Another function that accepts this new algorithm is password_needs_rehash() that check whether the supplied hash implements the algorithm and the option provided and return a boolean accordingly. If everything goes as planned It will take just another few days before these changes are officially released (PHP 7.3 is forecast for December the 13th). Meanwhile you are waiting for these updates (it can be frustrating I now) there are several expedients that you can apply in order to be ready for them. You can see on each section of each new feature if there are any backward compatibility problems, a good idea would be to go throw all the sections of this article (I remind you that it is devided in 3 main components) and find out if they are supported in your code. An example could be getting all the regex in your code and linting them with the new PCRE2. Also, run Exakat and look for issues. of course, run your unit test. write the test then run them!. Last note: the full list of PHP 7.3 proposals on the RFC and GitHub’s PHP 7.3 Notes are available on these links. It is weird how when you, as a child sneak under the Christmas tree hoping to get a new pair of boots to flaunt in the next football match, or the last video game that will keep you awake for entire nights while trying to kill the boss. Whereas now, you wait for December to get new features on your favourite programming language. Which eventually is the real unique spirit of Christmas. even though is not time yet Happy Christmas and a happy new codes. 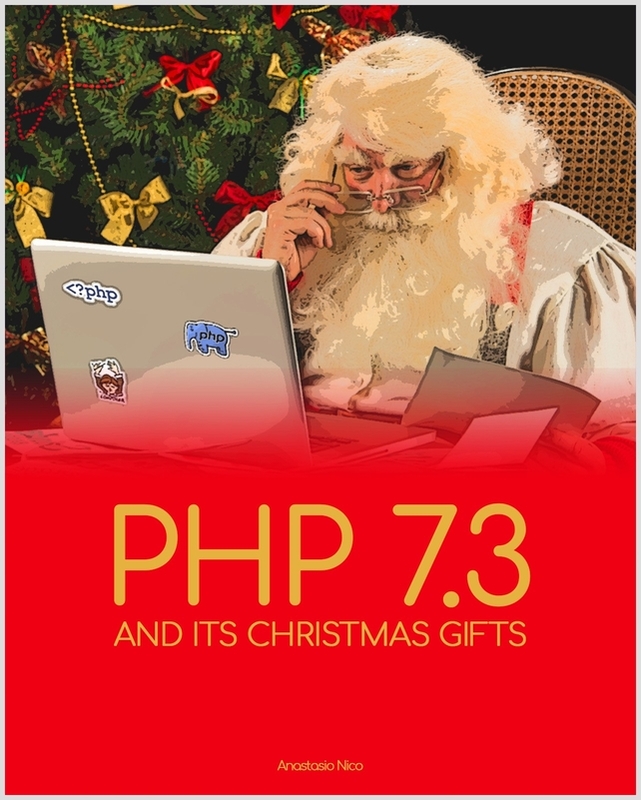 This blog post is a section of the Kindle book "PHP 7.3 and its Christmas gifts"